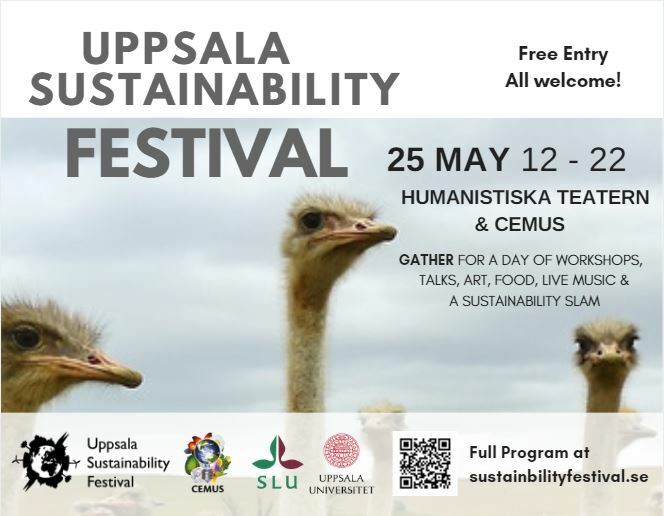 The theme for this festival is ‘Gather’ – How can we gather our thoughts, selves and community to build a space for conversation and action in Uppsala? There are many initiatives and people around us that are working with and towards sustainability. This will be a space to share, celebrate, learn, mobilise and inspire! Cost is free, and all are welcome!